Same Day Crowns Rancho Bernardo | What are Porcelain Veneers? Classic Dental Smiles > Classic Dental Smiles Blog > Cosmetic Dentistry > Rancho Bernardo Dentist | What Are Porcelain Veneers? Are you unhappy with the color of your teeth? 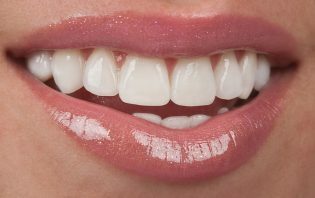 Does a gap between your front teeth make you unhappy with your smile? Are you ready to repair that chipped tooth from your college days? If you answered yes to any of these questions, porcelain veneers may be a good option for you. Maintaining a healthy smile is important, but your mouth is more than a body part. It’s an integral component in your image, and it reveals your feelings, for better or for worse. In many cases, cosmetic dentistry can enhance a person’s appearance. Whether you need a little fix or a full smile makeover, Dr. Chan has the experience and expertise to provide the advisement and treatment you need. By improving how you feel about your smile, you’ll enjoy increased self-esteem, and the benefits could extend to your social, romantic, and professional life. Don’t wait to discuss porcelain veneers with cosmetic dentist, Dr. Chan! Call our Rancho Bernardo, CA office today at 858-485-6781 to schedule your consultation. The application of porcelain veneers is minimally invasive and usually completed in just two visits. To begin the process, Dr. Chan will evaluate your smile and discuss why you’re dissatisfied with it. He’ll talk with you about your idea of the perfect smile, so if start thinking about the smiles you admire most on your friends, or on actors and models. Collect photos to bring with you, if you like. You and the doctor will plan the shape, size, location, and shade of your new veneers, for a completely unique and absolutely unforgettable smile. Good candidates for porcelain veneers have good dental health and their front teeth have not been restored with dental crowns. A porcelain veneer is very thin and does not wrap around an entire tooth, but instead covers only the front surface of a tooth. Each veneer is made to fit atop a single tooth, snugly and permanently. The doctor will slightly etch the surface of a tooth, then apply a fixative to anchor the veneer in place. After a quick set with a curing light, the restoration will be ready to endure the challenges of biting, chewing, and smiling for years to come. Perhaps the biggest benefit of porcelain veneers is that nobody will be able to tell that you’ve had cosmetic dentistry! Your smile will simply appear brighter and more beautiful than it was before. It will be noticed for all the right reasons. Dr. Chan will select a color for the dental ceramic so that your hand-crafted veneers will blend perfectly with surrounding teeth, for a completely natural appearance. However, if you would like your smile to appear a little brighter and whiter than your current tooth coloring, we’re happy to accommodate you. With professional teeth whitening, Dr. Chan can lighten all of your teeth so that your new, brighter veneers will look natural, and your entire smile will be whiter. It is important to maintain healthy dental hygiene to ensure that your beautiful veneers maintain their vibrant shine and last up to 20 years or longer. Caring for your restorations is simple; just remember to brush your teeth twice a day and floss after each meal. This will keep reduce bacteria in your mouth to promote good overall oral health and fresh breath. Another tip for maintaining your veneers is to limit foods and drinks that easily stain teeth. Although your veneers will not easily stain, discoloration of natural teeth can make veneers stand out and appear unnatural, over time. Of course, you can always turn to teeth whitening to brighten up dingy tooth enamel. Discuss porcelain veneers with Dr. Chan today. Call our Rancho Bernardo, CA office today at 858-485-6781 to schedule your porcelain veneers consultation.